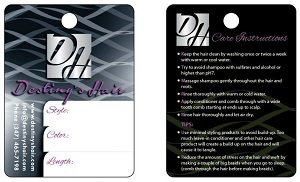 Hair Hang tags are a cost effective way to add your brand to your hair products. 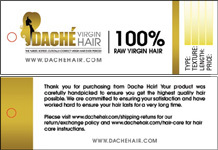 Hang tags can include your logo, contact information, social media links, bar codes, QR codes and/or hair care instructions. 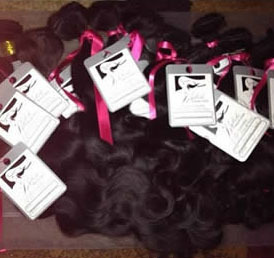 We can leave spaces to fill in variables like style, color, texture, length, price, etc. All tags are printed on thick and luxurious paper stock. They are printed in color on both sides. By default, we print with round corners and UV (shiny) coating. If you would like matte (dull) coating or would prefer regular square corners please let us know when placing your order. The hang tags are drilled with one hole. Printing time usually takes 6-10 business days. 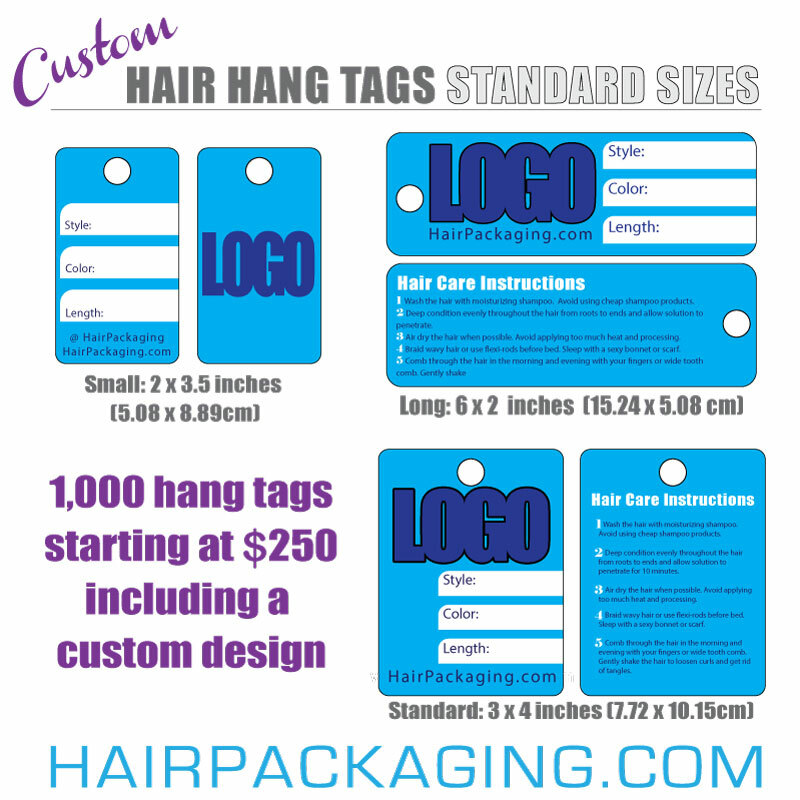 All hang tags include a custom design with the information you provide and variables you choose. Three unique designs and 3 rounds of revisions are created. If you already have designs you like, (existing business cards, social media, website) we can match their design styles and colors. Or, feel free to give us an idea of the type of design you are interested in and we will come up with a unique design for you. If you have colors you like, please inform us. If you have a logo, please send it to us in print file format. Feel free to ask us if you are unsure about if your logo is suitable for printing. Design time has taken as little as 3 business days, but it does vary. Design time is in addition to printing time. 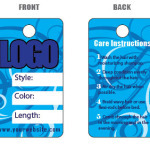 Review custom designed hang tags in our recent work or purchase at our online shop.